Ohio State Buckeyes Set of 2 Ambassador Style Car Flags - Trunk Hood Brand New! 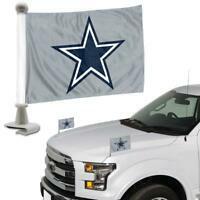 Product: Flag Size: Approx 4" x 6"
Exactly what ordered. Came sooner than expeceted. Item as described and fast delivery. The seller was exceptionally rude. These flags are amazing! I catch people looking at them all the time. 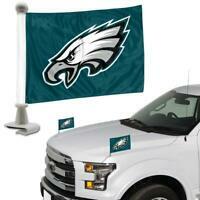 Great for tailgating or just driving around town. They are lightweight but durable. I would recommend maybe scotch guarding them before using so that cleaning is easier. 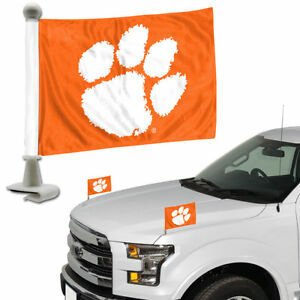 Cool new way of supporting your team or school. Quality made product. The flag posts are sturdy and the flags have held up under windy conditions. Nice addition to my auto accessories on game day.